It’s no secret that I love fashion design, clothing, haute couture, wearable art. Whatever you like to call it, j’adore! If I could, I would probably shop for a living if I knew that in doing so, I wouldn’t blow my paychecks “expanding” my closet. Like many, my taste in clothing is high end, but my realistic spending budget is mere pennies. So, while I was perusing Pinterest for beautiful pieces of wearable art to add to my “Fantasy Closet” collection, it struck me… Maybe I can challenge myself to “copy” my inspirations, and replicate the outfit by finding alternative articles of clothing for a fraction of the price- essentially doing a Look For Less series (which I’m calling “Finding Fashion”). Before I begin, I think I must preface that doing a Look for Less series isn’t the challenge for me, since it’s not a new concept. (Plus, not to toot my own horn, I’m a very savvy budget shopper!) I’m not ruling out places like Forever 21, H&M, Charlotte Russe, The Gap, Zara, etc., which all offer well priced and fashionable clothing. I love shopping at those stores! But for this endeavor, I’m challenging myself to find comparable outfits specifically at Kmart, Walmart, Target, and Payless Shoes ONLY. I decided on these stores because now that we are living up in the mountains north of Napa and Santa Rosa, we are at least an hour drive from any mall (even going to Target and Payless is an all day excursion for us), and having a toddler in tow really makes my shopping endeavors quick and to the point. No meandering around and trying on a slew of adorable miscellaneous outfits at the mall anymore for this mama. At least not right now. But we won’t get into that subject right now, today is all about “Finding Fashion”. 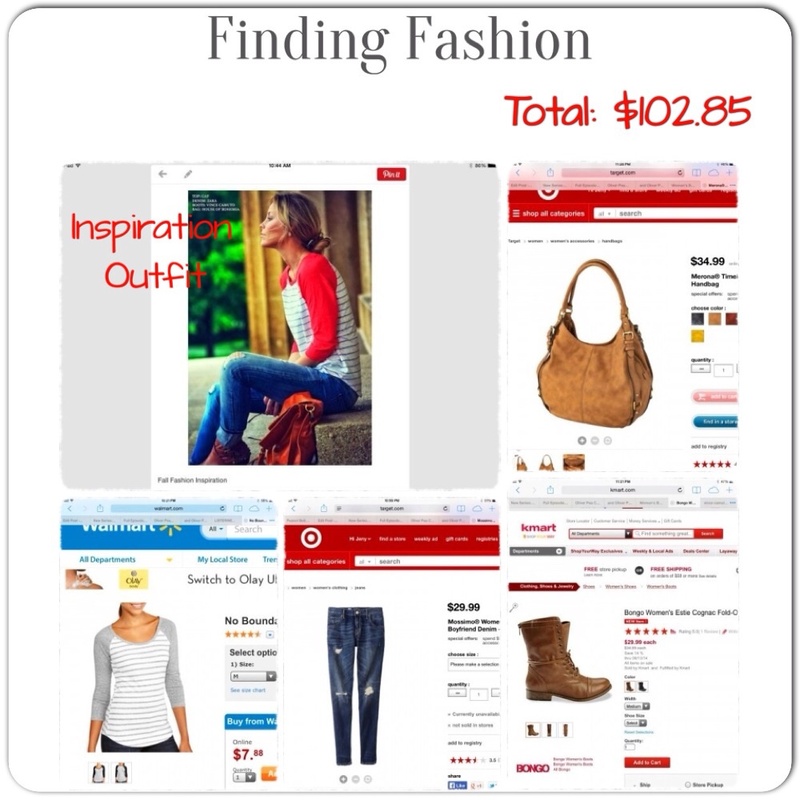 I also decided to do “Finding Fashion” at Walmart, Kmart, Target, and Payless Shoe stores because the majority of our society is not incredibly wealthy, and it seems that most shop for clothing at budget friendly stores like Target (my preferred shopping spot), which offers relatively nice clothing and accessories for reasonable prices. Plus I have found that my purchases there have had pretty good longevity. But, if something gets ruined, I’m not super disappointed since I didn’t spend a pretty penny on the item. I thought this was an attainable outfit to find similar pieces at the aforementioned stores. So I did a little shopping around and VOILA! I found a very similar outfit for only $102.85! For this specific inspiration outfit I did all of my shopping online, but if I had gone into the stores I probably would have been able to find some pieces on the clearance rack for sure! I’m totally loving it, and to be honest, at first I was hesitant to even try. But now that I have a taste, I’m SO ready for more! Let’s do it! 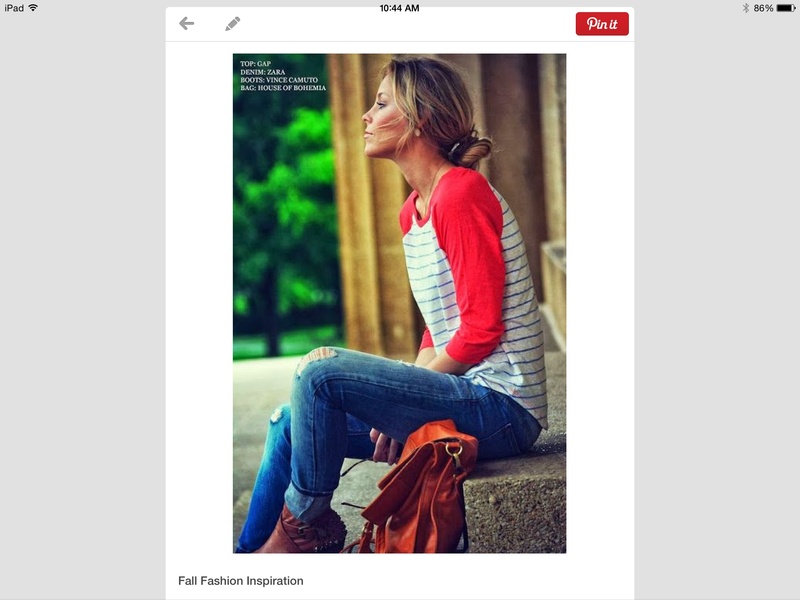 Do you have any incredible “inspiration outfits” that you got at a great price shopping at stores like Target, Walmart, or Kmart? I’d love to hear all about it! OR, do you have a “challenge outfit” you’d like for me to find? Share your thoughts in the comments section below! I adore your style. You look cute whatever you’re wearing!